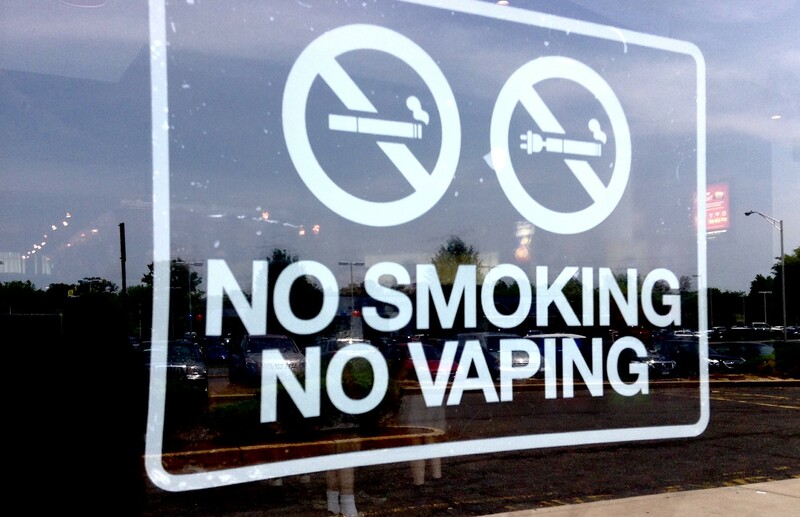 Sciblogs | Should Smokefree Indoor Areas = Vapefree Areas? Should Smokefree Indoor Areas = Vapefree Areas? 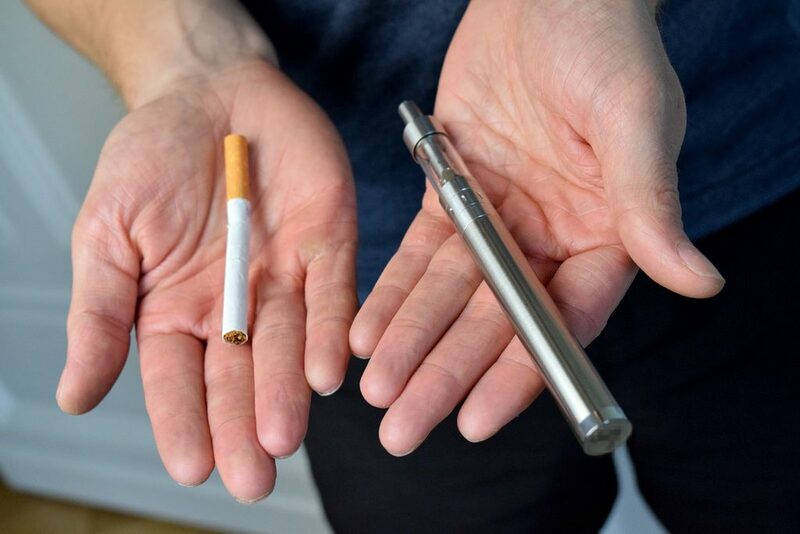 The NZ Ministry of Health is currently reviewing public submissions on options that would allow nicotine-containing e-cigarettes to be sold legally in NZ. This consultation raises questions about how the wider uptake of e-cigarette use (known as “vaping”) will be managed. 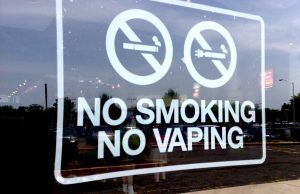 In this blog, we consider arguments about the indoor public settings where vaping should be allowed or prohibited. We conclude that there seems an overall strong rationale for “Smokefree = Vapefree” in all circumstances for the indoor areas covered by current smokefree laws and policies. It is timely that the Ministry of Health is considering whether and how to allow access to nicotine-containing e-cigarettes in NZ. These products could potentially increase quit rates (though scientific evidence on this point remains unclear) or move nicotine-users to where their health is at lower risk of harm. However, regulatory changes that allow nicotine-containing e-cigarettes to be sold in NZ give extra emphasis to the question of where vaping should and should not be allowed in this country. Internationally, regulators have also had to address this question; for example, indoor area vaping bans already exist in many places within the USA (eg, (1)), with most overlapping with smokefree areas. Similarly, the recent Cabinet Paper relating to the NZ situation suggests that “the use of e-cigarettes is prohibited in smoke-free places”, and that this approach will require legislative change (2). Given this background, we aimed to briefly explore some of the arguments for and against extending indoor smoke-free provisions to vaping. From a public health perspective, it might seem preferable to allow vaping in some settings where smoking is not permitted; such a measure could encourage smokers to switch to vaping (ideally on a long-term pathway to become nicotine-free) by making vaping relatively more attractive as it is allowed where tobacco smoking is not. Indeed, vapers themselves have voiced the potential benefit of “normalisation” of vaping, relative to smoking, when arguing against any bans on public vaping (3). However, if smokers are to be given an incentive to move completely to vaping, it may be better to provide those incentives in other ways (eg, the price differential via higher taxes on smoked tobacco). Any potential benefit of normalising vaping also needs to be weighed against other considerations, which we discuss further below. 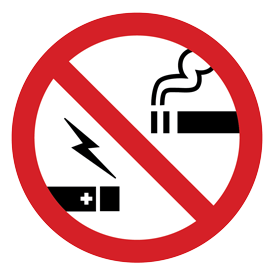 Allowing vaping in indoor places where smoking is not permitted could minimise any discomfort that vapers may experience from nicotine-withdrawal when in sych spaces. Nevertheless, this discomfort could be a fairly modest downside, given findings from a recent survey of exclusive e-cigarette users in the USA. This study found that of those vapers who reported not being able to vape in places where smoking is typically banned, “only 12% (n=124) reported finding it difficult to refrain from vaping in places where they were not supposed to” . Also evidence from NZ smokers (5) and US smokers (6) suggests that many support smokefree areas, with one reason for this being because these areas help to encourage them to quit (6). Such a situation might also apply for some vapers who wish either to constrain the level of their vaping, or to become nicotine-free. Given this assessment, it is not surprising that the WHO recommends to Parties of the Framework Convention on Tobacco Control (which includes NZ) that they consider “Prohibiting by law the use of ENDS/ENNDS in indoor spaces or at least where smoking is not permitted” (8). Furthermore, the fine particulates referred to above are considered by the International Agency for Research on Cancer (IARC) to be proven causes of cancer (9). Nevertheless, the SHA issue is likely to evolve as vaping technologies and usage practices continue to change (see comment below on “sub-ohming”) and the degree of any risk posed to non-vaping bystanders becomes clearer. Smoking or vaping? Credit: Wikimedia / TBEC Review. The need for simplicity supports a “smokefree = vapefree” approach as a good law that achieves high compliance needs to be readily understandable to people who vape and those around them. Exemptions that allow vaping in some indoor smokefree settings (eg, certain workplaces or restaurants or pubs) but not others, may risk creating confusion. Simplicity would also enhance citizen-led enforcement by reducing confusion between a cloud of vaped aerosol at a distance and a cloud of cigarette smoke (though some argue that this confusion does not occur for most people). We are familiar with the many problems that arise when countries (eg, the Netherlands) have adopted complex smokefree indoor area laws (eg, exemptions for some types of small pubs; permitting smoking rooms; defining half an indoor area smokefree etc). The same problems apply to complicated definitions of outdoor smokefree area requirements, as NZ’s former complex smokefree area calculator illustrates – see this Public Health Expert Blog (10). As discussed above, smoking and vaping at a distance can look similar to some people – as both produce visible clouds exhaled from people’s mouths after they have drawn on a device. Some vapers themselves admit to this similarity; for example, some cite visual similarity as a reason why they do not vape around people eating (3). If vaping is regarded as having similarities to smoking, allowing vaping indoors may risk re-normalising tobacco smoking in environments that are currently smokefree and may lead smokers to query why, if vaping is permitted somewhere, smoking is not. Such renormalisation of tobacco smoking would be particularly problematic if it affects children, as it may increase the risk that they become susceptible to or initiate smoking. Close exposure to others’ vaping may also risk relapse among people who have recently quit smoking or vaping. While there is no scientific evidence for this relapse risk (that we could identify), an experimental study found that exposure to a video showing vaping “significantly increased smoking urge (p < .001) as well as desire for a regular cigarette (p < .05) and an e-cigarette (p < .001) among young adult smokers” (11). Another experimental study found that “exposure to the e-cigarette cue but not the regular cigarette cue also increased desire to smoke an e-cigarette (p<0.01)” . Also of note is US work that reports that former smokers who use e-cigarettes may have a potential for higher alcohol use (13), and that e-cigarette use prohibitions are associated with less alcohol misuse (eg, when using Alcohol Use Disorder Identification Test scores, p=0.001) (14). This is relevant given that heavy alcohol consumption is a risk factor for smoking relapse. A further consideration is whether vaping is seen as a permanent activity, or as a temporary way to provide nicotine while giving up smoking, as a transition to not using nicotine at all. If public health policy is based on the latter, then it may be unwise to adopt any policy, such as indoor vaping areas, that could suggest vaping should be a permanently allowed activity. Given the air pollutants generated by vaping (as noted above), workplaces that permitted indoor vaping (such as restaurants and pubs) could be at risk from legal action by staff or their unions. Such legal action would be an additional cost to the tax-payer funded judicial system. Regardless of the potential health risks, some people find second-hand aerosols from nearby vaping to be a nuisance – just as they do with cigarette smoke. These nuisance concerns have not however been quantified in surveys (to our knowledge). Nevertheless, it is for this nuisance reason that a recent (pro-vaping) “global vaping conference” actually banned participants from vaping in certain indoor areas (https://gfn.net.co/venue-city-2016/vaping-policy). The organisers noted that “some non-vaping delegates last year felt that they were ‘trapped’ with the vapour, which they found unpleasant and distracting, particularly during plenary and parallel sessions, when a lot of people occupied a relatively small space.” Furthermore, the organisers stated “that since last year the majority of experienced vapers have switched to high powered devices and sub-ohming, which is fine for vape meets but not so good in the conference venue where it tends to create a rather disconcerting fog bank for those who are not used to it.” Similarly, at the premier for the pro-vaping movie “A Billion Lives” in Wellington, the organisers asked vapers not to vape in the cinema as a courtesy to non-vapers. Which argument dominates from a public health perspective? Given these arguments collectively, we consider that there is a strong overall case from a public health perspective for central government to update the Smoke-free Environments Act with an additional legal requirement that effectively states “smokefree = vapefree” for all current designated indoor smokefree areas in NZ. In addition, we consider that as a general principle, any policy differentiation between smoking and vaping should be designed to be easily changed (eg, a price differential could be quickly changed by tax changes). Such a principle for creating policy would protect against any developments where vaping was found to have greater harms than presently suggested. The principle would also help if a strong differentiation was needed between heated nicotine devices and unheated nicotine inhalers. If such an update to the law was to occur, it would also be a good opportunity to plug existing gaps in the law as well, such as by adopting smokefree cars when children are passengers, mandating smokefree children’s play areas nationwide, and prohibiting smoking within 10 metres of the entrance to bars and restaurants. Lotu-Iiga, P.S., Electronic-cigarettes: policy options and approval to consult. [Cabinet Paper]. 2016. http://www.health.govt.nz/system/files/documents/pages/cabinet-paper-ecig-policy-options-2016.pdf. Farrimond, H., E-cigarette regulation and policy: UK vapers’ perspectives. Addiction, 2016. 111(6): p. 1077-83. Yingst, J.M., et al., Should electronic cigarette use be covered by clean indoor air laws? Tob Control, 2016. Wilson, N., et al., What is behind smoker support for new smokefree areas? National survey data. BMC Public Health, 2010. 10: p. 498. Nagelhout, G.E., et al., Do smokers support smoke-free laws to help themselves quit smoking? Findings from a longitudinal study. Tob Control, 2015. 24(3): p. 233-7. Hess, I., K. Lachireddy, and A. Capon, A systematic review of the health risks from passive exposure to electronic cigarette vapour Public Health Research & Practice, 2016. 26(2): p. e2621617. World Health Organization, Electronic Nicotine Delivery Systems and Electronic Non-Nicotine Delivery Systems (ENDS/ENNDS). Report by WHO. Conference of the Parties to the WHO Framework Convention on Tobacco Control, Seventh session, Delhi, India, 7–12 November 2016. Provisional agenda item 5.5.2. Geneva: World Health Organization, 2016. http://www.who.int/fctc/cop/cop7/FCTC_COP_7_11_EN.pdf?ua=1. Hamra, G.B., et al., Outdoor particulate matter exposure and lung cancer: a systematic review and meta-analysis. Environ Health Perspect, 2014. 122(9): p. 906-11. King, A.C., et al., Exposure to electronic nicotine delivery systems (ENDS) visual imagery increases smoking urge and desire. Psychol Addict Behav, 2016. 30(1): p. 106-12. King, A.C., et al., Passive exposure to electronic cigarette (e-cigarette) use increases desire for combustible and e-cigarettes in young adult smokers. Tob Control, 2015. 24(5): p. 501-4. Hershberger, A.R., et al., Transitioning From Cigarettes to Electronic Cigarettes Increases Alcohol Consumption. Subst Use Misuse, 2016. 51(14): p. 1838-45. Hershberger, A.R., K.A. Karyadi, and M.A. Cyders, Prohibition of e-cigarettes in the US: Are prohibitions where alcohol is consumed related to lower alcohol consumption? J Public Health Policy, 2016. Reducing the number of people smoking is imperative. It seems likely that ECs are much better for health and also likely that ECs are a valuable tool for people moving from CCs. So maybe we should overloook some of negatives and make it easier for people to stop smoking? Lets play with some numbers: there’s a 1.9 QALE loss from smoking across a smokers lifetime (https://www.ncbi.nlm.nih.gov/pubmed/22350530). So if a ban on vaping in public places stops just 5% of NZs ~500,000 smokers moving to vaping then, given an 80-year life expectancy, that’s an extra 600 smoking related equivalent deaths that could come from this policy. This makes your point about vaping causing people to relapse to smoking all the more serious. However, as a counter point, I wonder if there’s a risk for people to relapse to smoking from vaping if they are forced to share the same area. Being allowed to vape in smoke-free areas is a reason why many people switch. Having that removed as well as being branded as a ‘smoker’ and forced to be around ‘smokers’ (rather than a ‘vaper’) may see people leave the EC counter-culture to the much more dangerous habit. Given that ECs are actively used as a smoking-cessation tool, I would hazard that relapse to smoking when vaping is less appealing is more likely than vaping triggering ex-smokers to return to the habit. Also, while the simplicity of the law does matter smokefree = vapefree is not necessarily simple. It is complicated by the contingent of people who vape only because they like to have tasty clouds come out their mouth, with no nicotine involved. Although I don’t know the research, I would imagine that this would be safer still with regards to second-hand aerosols. Also it’s arguably the more likely path for any children wanting to replicate to steer clear of the expensive, addicting form of the product. Treating these hobbyists as smokers is unfair. Although yeah, tough luck for them if they’re quantifiably hurting people. I think allowing people to bring it under their smoke-free policy makes a lot of sense; it doesn’t give free reign to vapers. It can be restricted in health-sensitive areas (old folks homes), around children etc, while still giving a separate advantage to ECs over CCs. Further to this discussion we refined our arguments and published an article* today in a journal. We suggest there is a good case for smokefree indoors = vapefree indoors, an approach that the NZ Government actually plans to adopt.